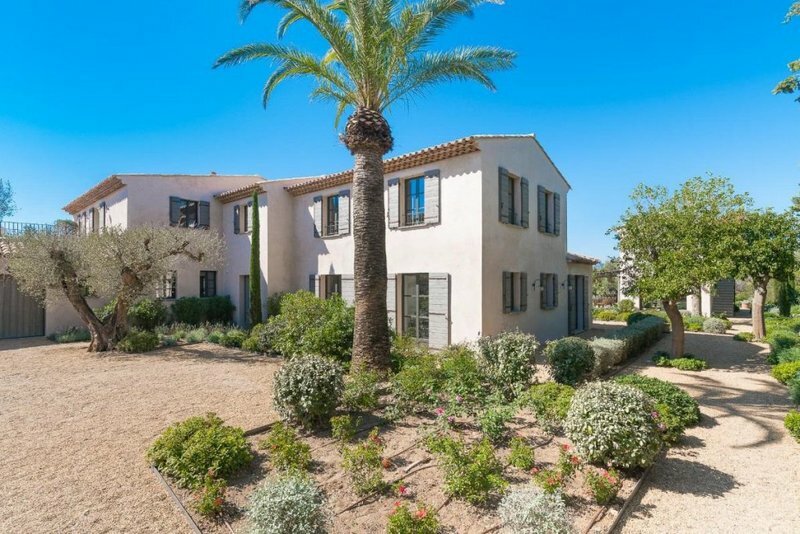 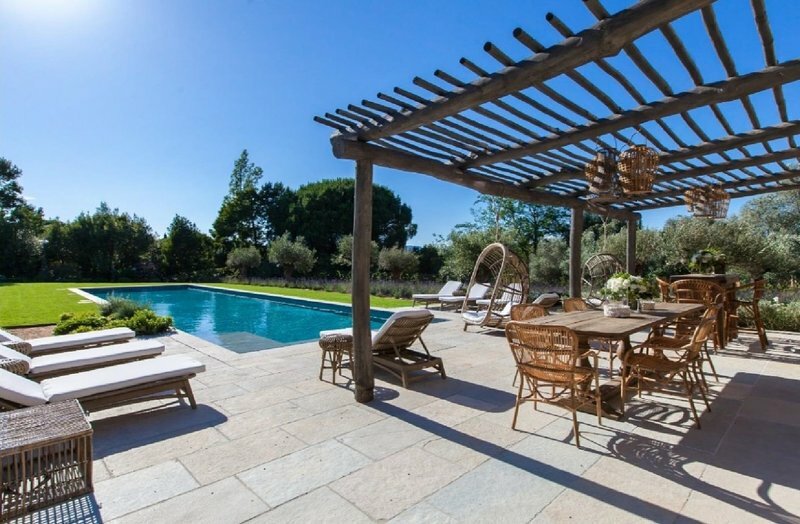 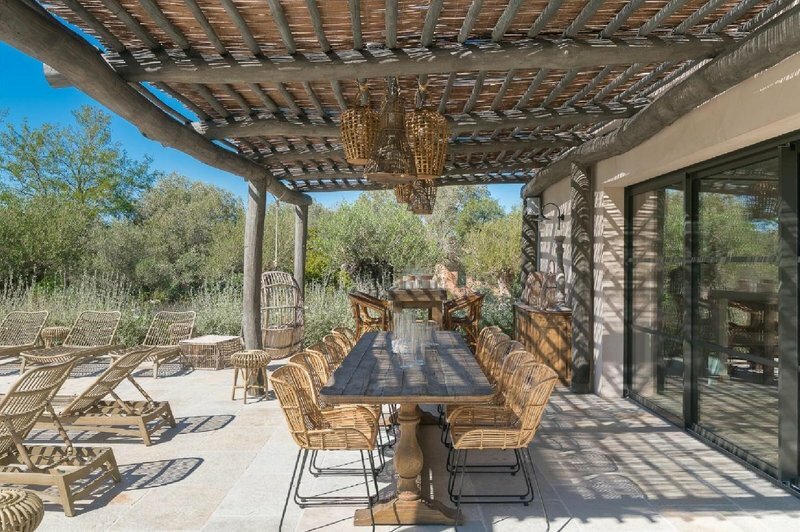 For rent Provencal Bastide in just a few minutes’ walk from the center of Saint Tropez This amazing new property is located just a few minutes’ walk from the center of Saint-Tropez, situated on a 3,500 m² landscaped garden offering a lovely view of the bay and village. 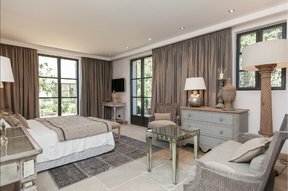 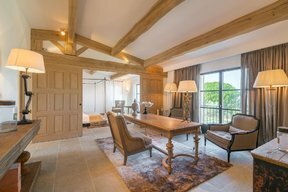 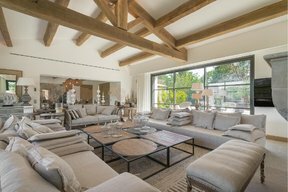 The highly secure 620 m² Bastide was built in true Provencal style while offering exceptional comfort: a 130 m² living area, two enormous master suites (80 m² and 50 m²) and an additional four comfortable bedrooms. 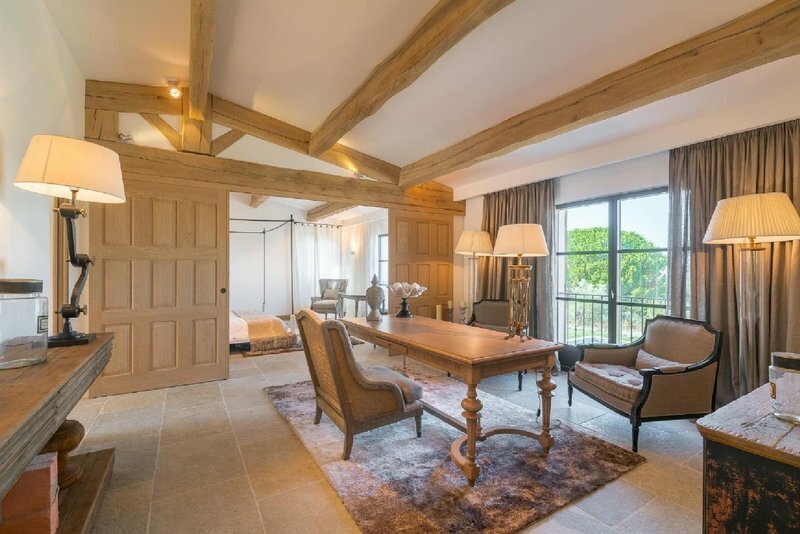 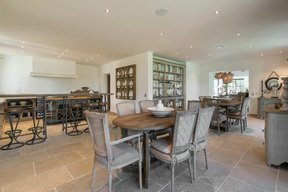 There is also a guest house, cinema room, bar/wine cellar, small sport and massage area, steam room, heated swimming pool (20 m x 4 m), staff room and a covered two-car parking garage. 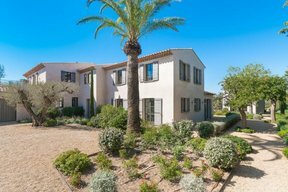 A unique asset in the village!